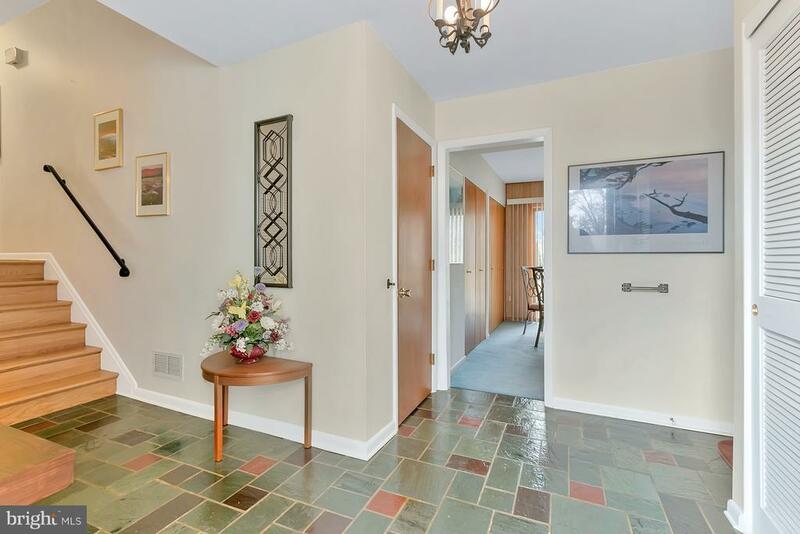 Beautiful 3 BR/2.5 BA raised ranch in private setting on a cul-de-sac in Hockessin, with a 2-car garage. Slate foyer in the entryway leads to both the upstairs main living and entry level house sections. Main level has eat-in kitchen with pantry, and spacious open living and dining room area with lots of natural light. Hardwood flooring continues through the hallway and into master suite featuring large walk-in closet and full bathroom with tiled floor and shower. Off the main level hall are two more spacious bedrooms and a full bath with double sinks and tub/shower. Large deck off the kitchen overlooks mature trees. On the entry level is a large family room with gas fireplace and slider out to the patio. A powder room is off the foyer. On the lower level is a finished den, laundry room, and a large unfinished section of the basement (train tables not included). The home has updated, beautiful Pella slider doors and casement windows throughout! The roof was replaced in 2016, and the gutters were replaced in 2018. Both come with a lifetime, transferable warranty. This home is on a private road maintained by the community. Rarely does a home in this location come along. Hurry, this one will not last long.